I often get questions from many of you who are wanting to build a business but feel frustrated by the lack of time you have to devote to it. Maybe you are like Sarah and have young children at home, or maybe you’re working another full-time job and you’re not sure how to find the extra time to devote to that business idea you’ve always had. Look at your schedule right now. Is there another activity that you’re doing that maybe isn’t as important to you as building a business is? Maybe it’s social media, TV, mindless browsing on the internet, or something else. None of these are necessarily bad things to be spending your time on, but maybe you can find one activity to replace with business-building time. If every single minute of your day is filled with important things, maybe you can’t make the time. If that’s the case, you may need to borrow the time by cutting something else out of your life. When you say “yes” to one thing, you have to say “no” to something else. It could be a good thing that you have to cut, but if it’s not as high of a priority as building your business, then you might have to choose to say no to something in order to borrow the time to put your business idea into motion. This may not be something you’re able to do in the beginning, but as you get further along in your business, it might be a great idea for you. Sometimes hiring help is so worth the time you get back. Maybe you need to hire a babysitter to give yourself a couple hours each week to invest in your business. Maybe you need to hire someone to do your laundry. You could even swap services with someone — perhaps another mom who needs time to invest in her business, too. Maybe it’s picking up takeout once per week to save time on making dinner and cleaning up the kitchen once per week. 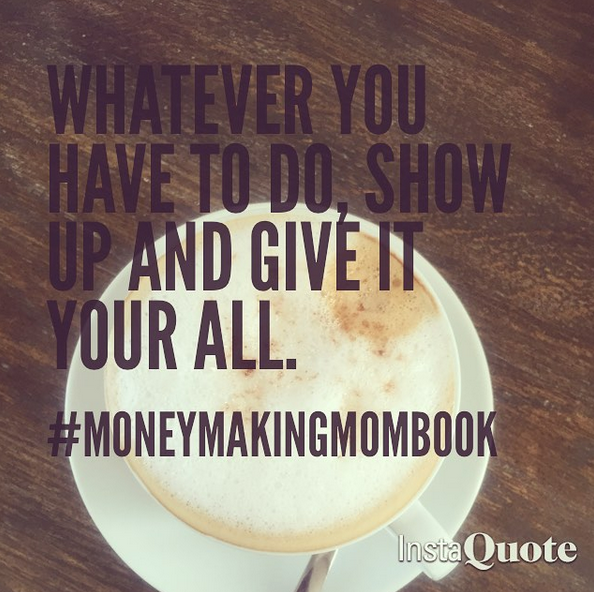 In my book, Say Goodbye To Survival Mode, I tell the story of the moment when I realized the best thing I could do for my family and sanity was to hire a Mother’s Helper. When my children were very young, I was stretched way too thin and found myself very overwhelmed. So we hired a young girl from our church to come over one day a week and help us with laundry and other tasks around our house. I felt like it was an extravagant choice, but it ended up being one of the best decisions we every made. When deciding whether you need to make, borrow, or buy time, you need to set goals and figure out how much time you’ll need in order to meet them. Ask yourself what your goals are. Where do you want your business to be and where you’d like to be financially within 3-6 months, or even a year? What season of life are you in? What is realistic at this time of your life? Set some realistic goals and then break those goals down into bite-sized pieces. This will help you figure out what kind of time you need each day in order to meet your goals. Once you have those time blocks figured out, add it to your calendar each day. Treat it as an appointment, set your timer, and start chipping away at your goals slowly over time. This will help you gain traction towards your goals without feeling overwhelmed. Everyone is in a different season and situation. Don’t compare yourself to other people, or you will always feel like you’re coming up short. You’ll try to run yourself ragged trying to do what other people do. If you can only work on your business for 15 to 30 minutes every couple of days, that’s okay. Do what you can do, and focus on that. Don’t worry about what everyone else is doing. You have to give yourself grace if you want to be in it for the long haul and be successful without completely exhausting yourself. Want more ideas, inspiration, and advice on how to build a business from home? 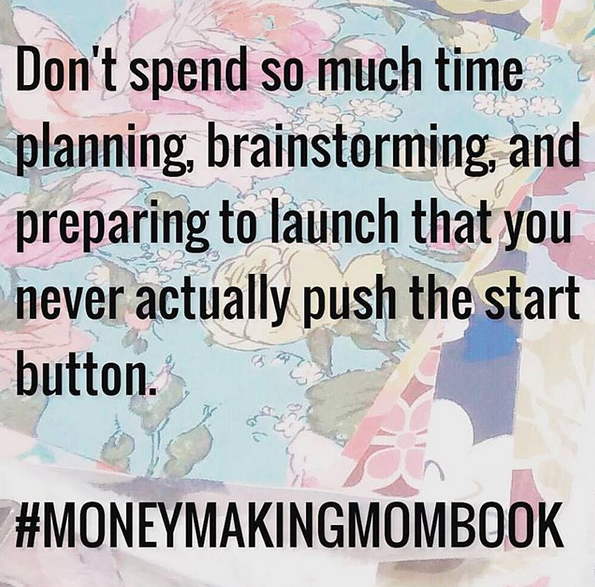 Click here to order a copy of my brand new Money-Making Mom book! What other suggestions do you have for finding time to build a business without becoming completely exhausted in the process? « Pampers Gifts to Grow: 75 free points! Thank you so much! Totally needed to hear this. I have been wanting to turn my hobby into a business for a while now. But just the thought of all that I need to do is overwhelming. 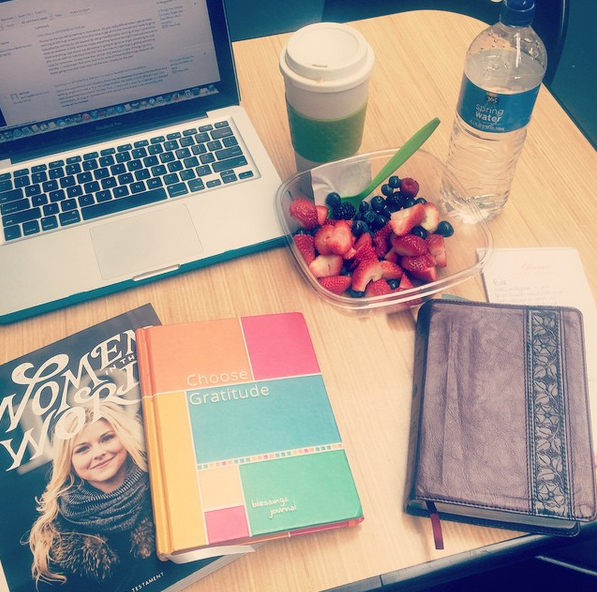 These suggestions will help me take things bit by bit instead of putting off and putting off. I need to stop planning and just do it! Love your blog, your story motivates me! Thank you for the reminder to have grace! I know deep down that Rome wasn’t built in a day, but my perfectionism makes ME want to do everything in a day. I feel like I’m spinning my wheels and my house is dirty, I’m run down, the kids are cranky, my husband’s clothes are wrinkled (actually, all our clothes are wrinkled because the clean laundry has been sitting, unfolded, in baskets in the family room for the past two days) and my blog still isn’t perfect! I ended up hiring a babysitter for a couple hours every Friday. I’m still making tweaks to my schedule, but I’m getting there. Also, in addition to being realistic about the total amount of time you can devote to your business, it’s important to remember to be realistic about the amount of time it takes you to do certain things. Don’t sacrifice quality for quantity. It IS ok to say no, even to yourself. It’s so true that we’ll find ourselves saying that we “don’t have time” but when we look at all our time wasters (for me, that includes Facebook and TV time), then that would add up to a good chunk of minutes to work on something else. I think it’s great to relax and unwind, and we certainly need time (and especially as a mom to young kids!) to re-charge. But, if we have a project to work on, I love your suggestions of looking at what else could go. Thank you, Crystal, for this encouraging reminder! I’m at home now with an active 18 month old and another baby on the way. I’ve learned that some days at nap time, I need to rest and other days I need to work as much as I can. The trick is knowing which is most helpful on any given day! I’m learning to take advantage of all the fringe hours in my day, even as I chose what I’m working on. I’m celebrating small victories, and giving myself grace daily! Oh this post is so for me right now! I couldn’t relate more! Recently I have been feeling so exhausted as I try to launch my new online business course. Sometimes we just really need to learn to delegate and take some time off as well. I outlined everything I had to do and set a schedule for myself, and I found it to be the KEY! Yes! In the past two months, I have taken on a second part-time job and started a blog. I need to be more organized with my time and that’s going to have to include saying “no” to some things. The best thing I’ve done to grow my blog is to communicate with my family. By explaining my goals and celebrating victories with them, we can all enjoy supporting each other through the ups and downs of blogging. Talk with your spouse, your kids, your friends, and seek support. Now that I’ve enlisted their help, I have an unwavering team. I also remind myself that this is a marathon – not a sprint. Sustainable growth comes with time and perseverance, consistent application over the long term does as much to grow your blog as a post gone viral. Tenacity will get you where you want to go. My heart feels for this mom with so many littles! It is hard to distinguish the importance between need to be refreshed and the need to help with the family finances. Is there a source of refreshment that she can turn into an income? Is there another mom friend she can swap with one afternoon a week while they each focus on starting a business (not laundry!) Hang in there! Keep going! Lay good foundations slowly and remember that life will look very different when that baby is 2 in just a few months! Thanks for this post. I just launched my blog and feel so overwhelmed like I’m constantly on information overload. It’s a good reminder to do one thing at a time and then when I get frustrated to just go back to doing what I love to do – write.